New in Box... Never worn. This is a gorgeous piece! 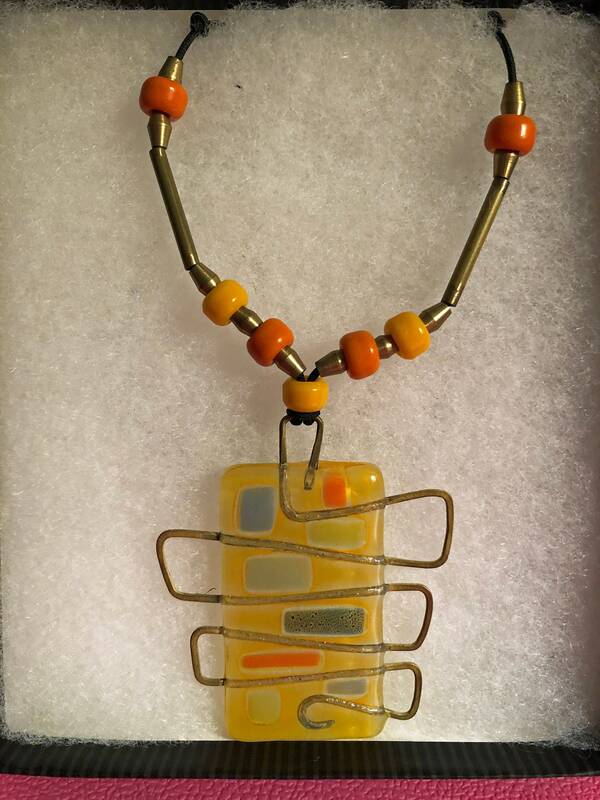 It is a large pendant on an adjustable cord with beads. The glass is yellow with orange and grey accents. 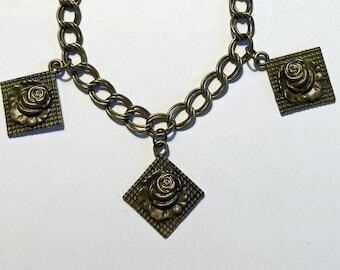 It has a brass piece woven through it. This was purchased about 15 years ago and it has been displayed behind glass ever since. It was never worn. It comes in the original box with the original paperwork sent with it. That includes a Higgins postcard and a pamphlet about the studio. The cord it is on can be adjusted from 16 - 26 inches in length. This piece will be shipped FREE by Priority Mail with insurance and tracking.